You are not half the zombie you once were. Use these guys as crawlers and zombies coming out of things such as man holes and trash cans. 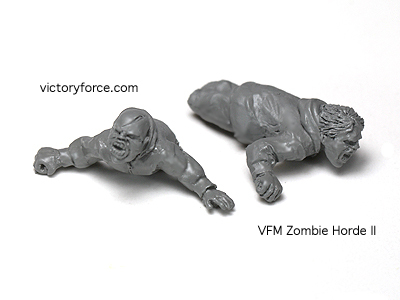 These zombies, that have lost their lower half, can be found in the Zombie Horde II: First Responders in the Creatures Section of the Victory Store. Over 1000 figures are available in the Victory Store.